In the November 2010 edition of the Italian State Railway’s magazine La Freccia (distributed onboard its luxury high-speed trains), one could find an article entitled “Le vie dell’olio” (“The Oil Routes” was the best, albeit still awkward, translation I could come up with). The article offered production background and geographic indications for the peninsula’s best olive oil, giving some specific mills to visit in each of the main olive oil producing regions. As if we’ve never heard it before, the article sounded the tired trumpet to the tune of the Mediterranean Diet:”one of the fundamental products of the Mediterranean Diet, apart from being a food, olive oil has been used over the course of the history for medicinal purposes, for skin care and personal hygiene, for lighting and as a form of currency.” Telling the fact that only this paragraph was translated into English (the rest of the Italian text remained silent for anglophones). I have to confess that my skepticism about the “Mediterranean Diet,” reinforced by reading Patricia Crotty’s article on the subject, is developing into a healthy suspicion. While I love olive oil, and I agree that it seems more nutritious than some other fats, I am wary of the idea (driven ahead as gospel by this article and many others like it) that the MD is actually some sort of artifact of a simple life of long ago. 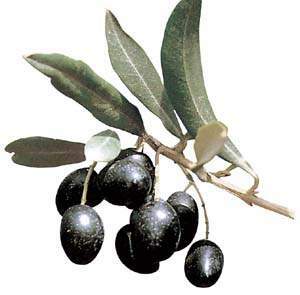 Olive oil was until very recently (read: the the early twentieth century) a luxury item inaccessible to most Italians. To take a simple example, the average Umbrian peasant diet of the late nineteenth century was based on polenta, a limited range of garden vegetables, and (twice a year!) meat. This data comes from the parliamentary inquest known as the Inchiesta Jacini, carried out between 1881 and 1886. Today a minority opinion on health and diet in relation to some little known studies of an immigrant Italian community in the United States that may inform how we look at and understand immigrant food and the Mediterranean Diet. The place: the borough of Roseto in Pennsylvania – named for Roseto Valforte in Apulia – with an overwhelmingly Italo-American population. The time: the 1960s through to the 1980s. A team of scholars under the direction of Stewart Wolf began to look at Roseto’s mortality rates. What they found was fascinating. From 1935-1965 Roseto had had strikingly lower number of myocardial infarctions, i.e. heart attacks, than the neighbouring towns of Bangor and Nazareth despite them sharing the same health infrastructure and the same water system. However, from 1965 onwards the numbers of heart attacks in Roseto climbed to meet the numbers of heart attacks found in the previously-mentioned neighbouring communities. And the change? The scholars studying Roseto believe that it was the collapse of this spirit in the early 1960s. ‘The earlier beliefs and behaviour that expressed themselves in Roseto’s family-centred social life, absence of ostentation even among the wealthy, nearly exclusive patronage of local business, and a predominance of intra-ethnic marriages gradually changed toward the more familiar behaviour pattern of neighbouring communities. Roseto was shifting from its initially highly homogenous social order – made up of three-generation households with strong commitments to religion and to traditional values and practices – to a less cohesive, materialistic, more ‘Americanized’ community in which three-generation households were uncommon and inter-ethnic marriages became the norm.’ (Egolf et al, ‘The Roseto Effect’, 1090-91) The result: a rise in heart attacks including among the young.